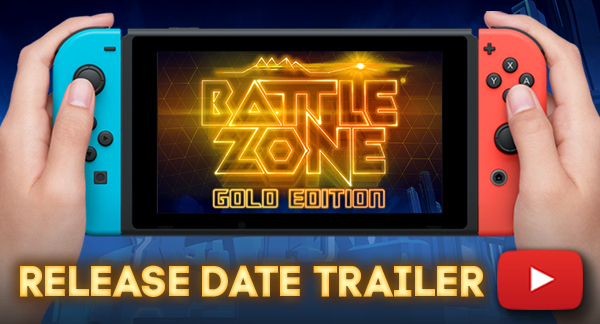 We're delighted to reveal Battlezone Gold Edition is coming to Nintendo Switch worldwide on November 8th! What's more, it's available to pre-purchase on the eShop starting today, with an exclusive 15% discount! So what does Battlezone bring to the party on Switch? Cockpit motion controls, support for both online and wireless local co-op play, and ALL the content ever released for the game including all the bobbleheads, tank skins and Classic Mode! Check out the brand new trailer below and see you on the battlefield next month!